Over several years of business I've tried and tested hundreds of different tools and marketing and content strategies. MOST of them were a flop. Particularly online tools and apps that promise the world and simply don't deliver. But I also got hooked on the idea of TRYING everything! Not a great business decision in terms of my time, but the result is an 'in the trenches' education on what is working RIGHT NOW. I'm constantly innovating and improving my other online businesses and it also means I get to keep using the best of the best TODAY. Whilst many of the resources below are affiliate links - meaning I get some compensation if you subscribe to them - (don't worry it doesn't cost you any extra - in fact some are special discount links) they are also resources I have used or am still using that helped me grow my business and profits. I've used several of the big name hosting companies (including GoDaddy, Bluehost, Host Gator) and none of them come close to the performance, security and customer service of SITEGROUND. Siteground is also incredibly affordable whether you're getting started or have thousands of visitors each day. I recommend you build your site using WORDPRESS and hosting it on Siteground. I use Infusionsoft for my list management (but that's because I started several years ago and they were the best option back then). If I was starting again TODAY, I would go with ConvertKit without hesitation. Having tried many of the current competitors like Active Campaign, AWeber and Mailchimp - I find that ConvertKit offers the best pricing tiers and contact management as you progress (so you don't get screwed with higher fees down the track or for duplicate records for your contacts). More importantly, they offer the most relevant features to modern online business in terms of segmenting your client lists and communicating effectively. Not convinced yet? You can also read my blog post on autoresponders HERE. Whilst you can use Clickfunnels to build your entire website (and I have before), I recommend you use it for what it is designed for... which is FUNNELS! From lead capture to sales and product delivery, it is so simple to build out effective sales funnels allowing you to better structure your offers to serve your customers. Honestly, I only use Picmonkey now, but I used Snappa and Canva for a while and I can see that those options might suit others well. Sometimes the user interface of a program just sits better with people. So I recommend you try all three and see what you like. They all have free options to get started with. 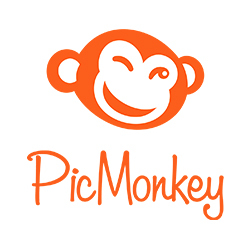 I find PicMonkey delivers the best FREE features AND also the best VALUE and creative flow once you progress to a paid plan. But what about actual photos to use on your site? There are again THREE resources I use to get royalty free images (meaning I can use them legally on my site and in my ads). The last two below are FREE and the first (Shutterstock) is a pay per usage. So I use the free ones for general backgrounds but for more professional and specific graphics I always go back to Shutterstock. You can check out all three below. Avoid the temptation to just copy images of other people's websites. This is illegal. I've used several eCover makers and product labelling type apps and THIS is the one I've settled on. The designs are just a little more modern and cutting edge than other builders I've used. You can use this builder from any computer and it's also great for creating banners and social media graphics. Finally you can even create your own bundle images with this particular eCover builder. Deliver online training with POWERFUL Webinars! Online Webinars are a fantastic way to engage with your community, deliver your message and - of course - make sales of your products and services. When webinars first started taking off... there was so many technical headaches and nightmares. However WebinarJam solves this with an easy to use, powerful and RELIABLE webinar system. You can create pre-recorded webinars, evergreen webinars and LIVE webinars. If you've attended one of my webinars, then you've already seen it in action! This link lets YOU try it out for just $1. You get a full trial account and more than enough time to use it live (or pre recorded) to see if it's right for your business. The Bookkeeping Software that saves me hundreds of hours each year! I've used only one other accounting / bookkeeping software (which I won't name) and when I switched to XERO I was astonished at how well suited it was to running an online business. The level of automation also means I spend only a few minutes a week on my financial numbers now. I strongly recommend using this software sooner than later to save you time throughout the year AND make life easier at tax time. If you're new to online business this free tool will help you avoid password overwhelm! If you're not new to online business then get ready to ESCAPE password overwhelm! This tool is a must have for any online entrepreneur. With so many different codes and passwords and logins, you need a safe, secure and reliable way to remember all this sensitive information. Essentially, this tool remembers all your logins and auto fills the login information for you. So the one password you WILL need is your login to Lastpass!